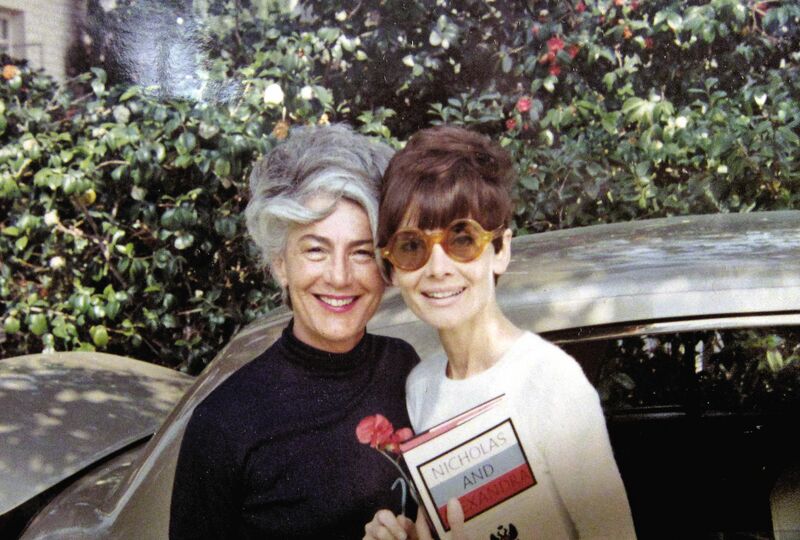 Audrey at Home is the kind of book that makes your heart glad. 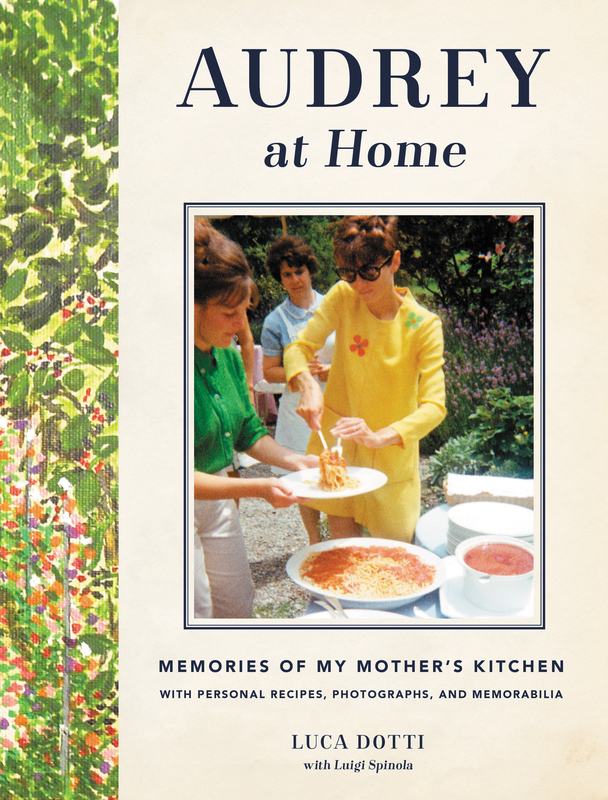 It’s a wonderful insight into the home life of a superstar, and it is fabulous that her son Luca Dotti has spent so much time putting to paper so many of his memories, and family recipes. For those of us who are nosey about what our idols liked to eat and drink, this is an absolute goldmine. Movie stars are real people you know! 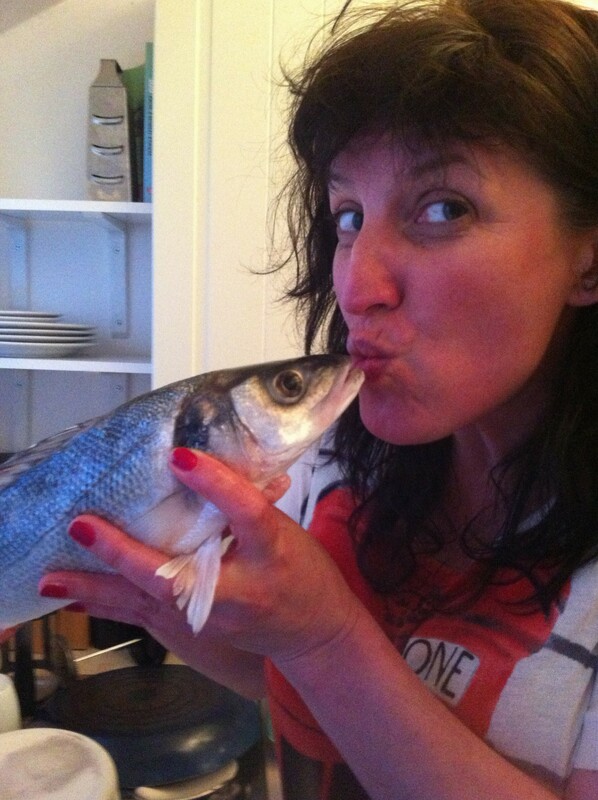 They live and breathe, they hang out with their friends and they feed their kids. 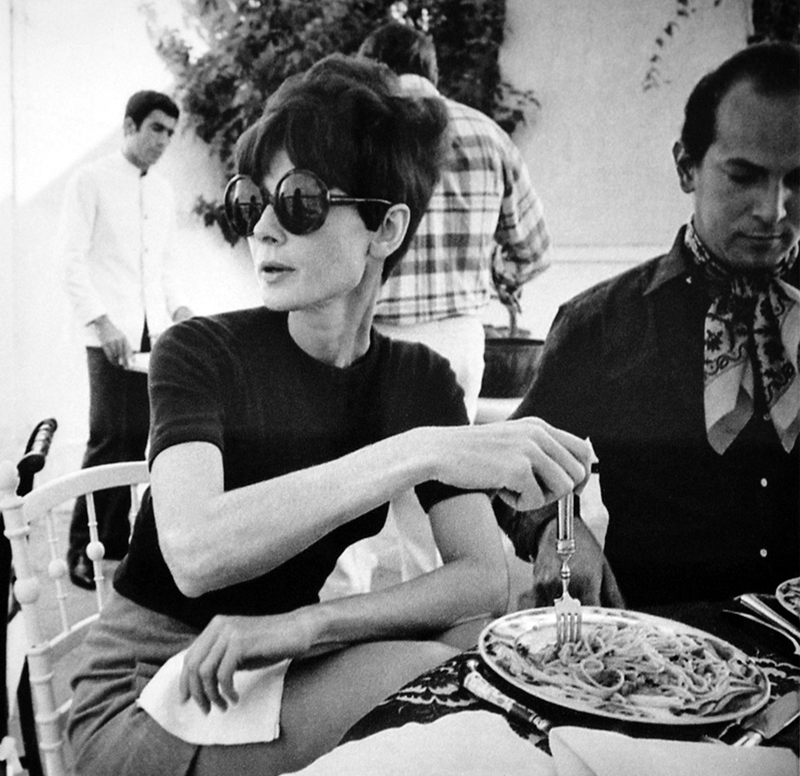 They also have vices, in Audrey Hepburn’s case, pasta and chocolate. As her son explains in this lovely book, Audrey believed that chocolate “banished sadness.” Sadness she must have had in plenty, especially during a childhood where food was scarce. 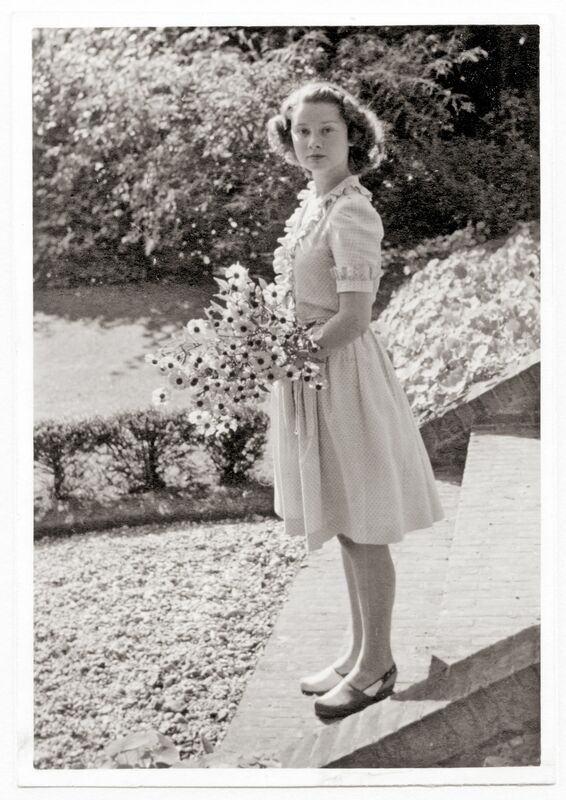 Audrey grew up in war-ravaged Holland. During the final months of World War II, twenty-two thousand people died of hunger there, and as Luca puts it, his mother “escaped from death by a hairbreadth.” When Holland was liberated she was sixteen years old, weighed only eighty-eight pounds and was suffering from several illnesses caused by malnutrition. 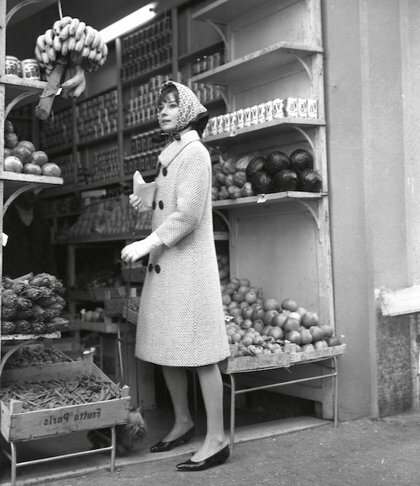 This photograph shows Audrey in 1946. A note in her own words reflects the wonderful new experience of having plentiful food for the first time in several years: “Me 1946 – having stuffed for the first time after the war.” Audrey’s most vivid memory of the joy of liberation was the day a Dutch soldier gave her seven candy bars which she wolfed down, along with a meal based on condensed milk provided by the United Nations. In later life, her sweet tooth was still partial to chocolate. As Luca puts it, “When it came to this sweet temptation her dancer’s discipline always (well, almost always) raised the white flag of surrender.” Audrey never gave up “her little evening chocolate,” and there was always some within reach in a chest of drawers in the living room. Chocolate also had a special place in her kitchen and this cake was her “piece de resistance.” She loved to make it for special occasions such as birthdays, overcoming the objections of Giovanna, the family cook, who usually monopolized the stove. Preheat the oven to 400 degrees F (200 degrees C, gas mark 6). Butter and flour a 10– or 12-inch (25 or 28 cm) round baking pan. Melt the chocolate with the milk in a bain-marie. Add the butter and stir to blend thoroughly. Turn off the heat and add the 8 egg yolks, mix. In a separate bowl gradually add the sugar to the egg whites and whip to form stiff peaks. Gently fold into the chocolate – egg yolk mixture. Pour into prepared pan. Bake in the preheated oven for 30 minutes. Turn off the oven, open the door, and leave the cake inside for a few minutes (this will prevent the crust from cracking). Remove from the oven and cook for about 10 minutes before removing from the pan. Cool completely before serving. Sprinkle with powdered sugar and serve with whipped cream or vanilla ice-cream. Luca notes that this cake is one of those things that tastes even better the day after you have made it, if it lasts that long! As Luca points out, Penne Alla Vodka was once all the rage, then fell out of favor, probably due to healthy eating trends that objected to cream and booze in pasta. Let’s bring it back I say! Penne alla Vodka was a great boozy feast to have with friends, but I think we can safely say that Spaghetti al Pomodoro was Audrey’s signature dish. When she invited friends round, this simple, classic meal would often be served, and it was always the meal she craved when traveling or filming abroad. Luca tells a great tale of a trip he took with his mother to Jamaica. Her suitcase was super heavy and when jokingly asked, “What did you put in here, bricks?” she replied with a smile, “Spaghetti.” She’d packed the olive oil and Parmigiano-Reggiano, too! Start by cooking the tomatoes in a large pan with lid over a high heat, with the onion, the celery, and the carrot for about 10 minutes to soften the vegetables. Lower the heat to medium-low, and add the basil leaves and a drizzle of oil. The tomato sauce is ready when, as they say in Naples, “pipiotta,” in other words, when the bubbles are no longer made of water, but rather small craters of sauce. Remove from the stove, remove the largest vegetable chunks, and allow the sauce to cool. A stainless steel food mill – the hand-operated type – is necessary once cooking is complete, in order to transform the tomato sauce and vegetables into a puree of the right consistency. It will also remove the bitter skins and tomato seeds. Add a drizzle of olive oil and adjust bitterness with a pinch of sugar. Season with salt and pepper. So make yourself happy! 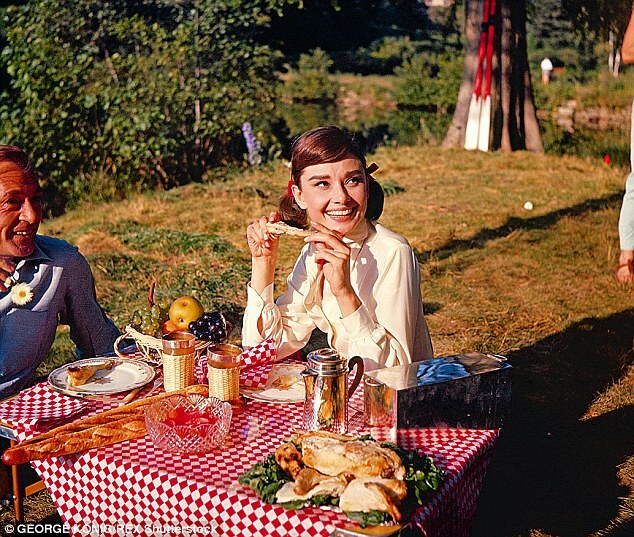 Eat like Audrey! Celebrate EatDrinkFilms’ Food Day / Film Day at the Roxie Theatre on Saturday, Oct. 24, at the Exploratorium and the Roxie Theatre. This entry was posted in Columnists, Eat, Eat: Recipes and tagged Audrey Hepburn, chocolate cake, Eat, Jenny Hammerton, pasta pomodore, recipes. Bookmark the permalink.